Accelerated sea-level rise will be one of the most significant effects of global warming. Global mean sea level has risen more than 0.2 m since 1880 and continues rising at above 4 mm yr.−1. 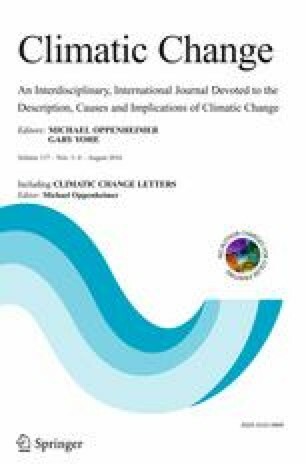 Here we allocate responsibility to countries for global sea-level rise commitment (SLRC) over the period 1850 to 2100 and weigh that against their exposure to inundation from sea-level rise. We bridge two lines of climate-related research by combining assessment of countries’ greenhouse gas emissions with predictions of the multi-millennial sea level response to global warming. Under the Intergovernmental Panel on Climate Change’s business-as-usual scenario our findings show that the five most responsible countries for global SLRC are also the most exposed to absolute land loss. This is mostly due to their own emissions, which we call intrinsic risk. We also assess extrinsic risk, defined as a country’s land exposed to inundation due to all other countries’ emissions. We show that for 6 m of global SLRC, the two non-island countries with the highest extrinsic risk are predicted to lose 27 % and 15 % of their own land, yet contributed less than 1.1 % each to the emissions driving SLRC. We anticipate that our findings will directly inform policy discussions in international climate negotiations by identifying the relative degree of country responsibility and risk associated with sea-level rise. The online version of this article (doi: 10.1007/s10584-016-1703-4) contains supplementary material, which is available to authorized users. This material is based upon country-level GHG emissions research conducted by Ward and Mahowald (2014). We thank Dr. Ward for sharing the emissions data for countries and for feedback on an earlier version of the manuscript.